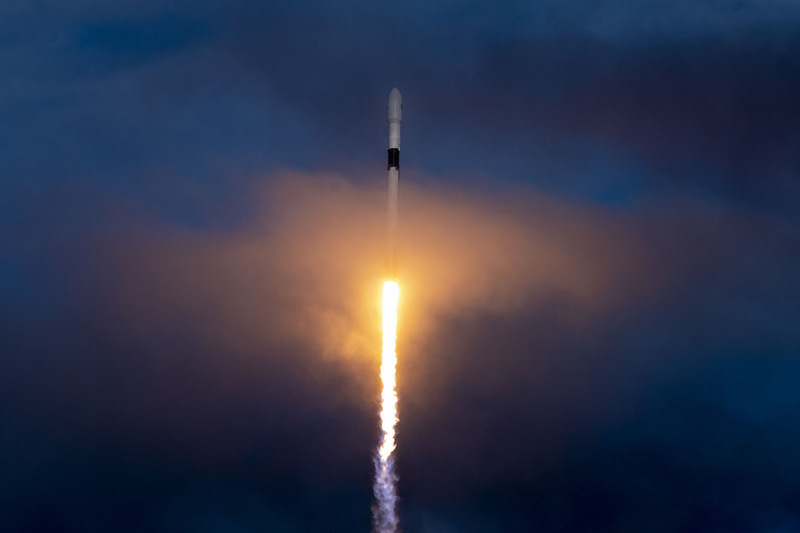 A SpaceX Falcon 9 rocket boosted by a recycled first stage fired into the skies over the Kennedy Space Center in Florida on Nov. 15, and these photos show the start of the 229-foot-tall (70-meter) launcher’s journey into orbit. 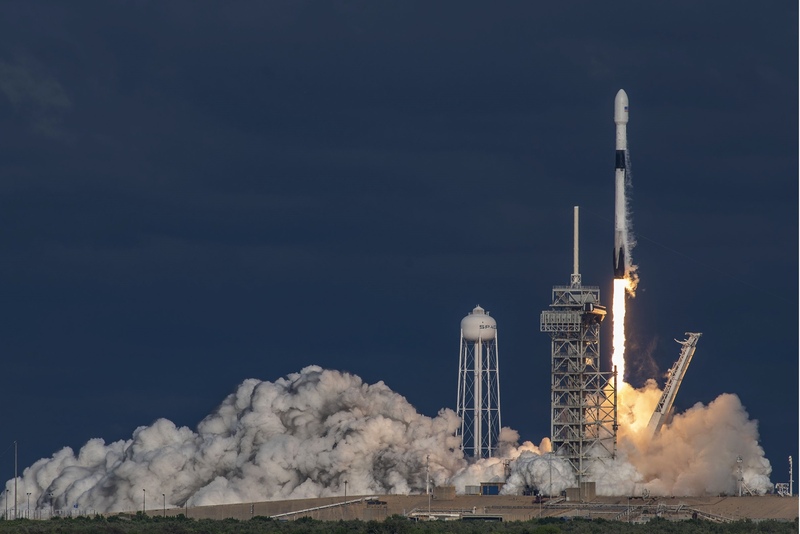 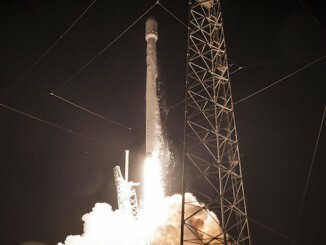 The Japanese-built, Qatari-owned Es’hail 2 communications satellite rode the Falcon 9 rocket into an egg-shaped geostationary transfer orbit stretching more than 23,000 miles (37,000 kilometers) above Earth. 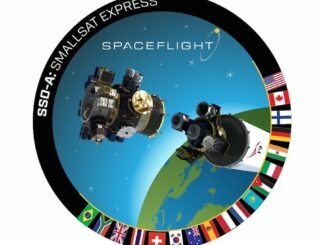 The satellite will eventually maneuver itself into a circular geostationary orbit over the equator. 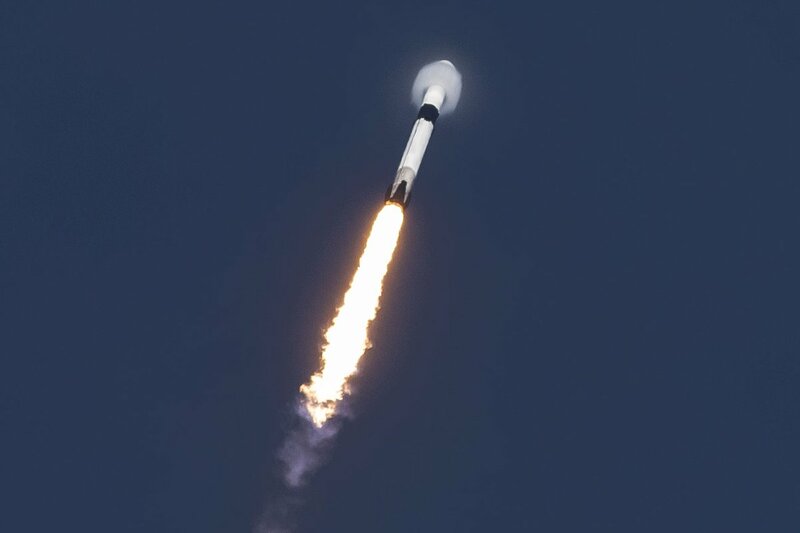 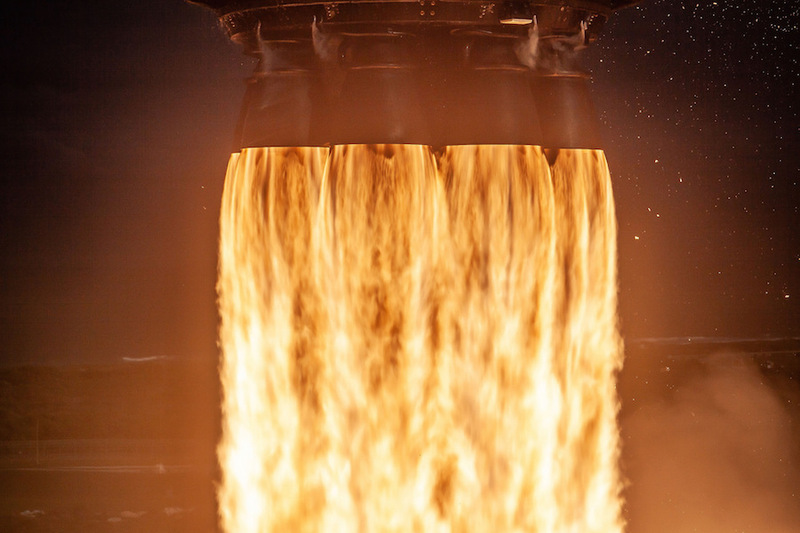 The Falcon 9 rocket lifted off from launch pad 39A at 3:46 p.m. EST (2046 GMT) Thursday, powered by nine liquid-fueled Merlin first stage engines generating 1.7 million pounds of thrust. 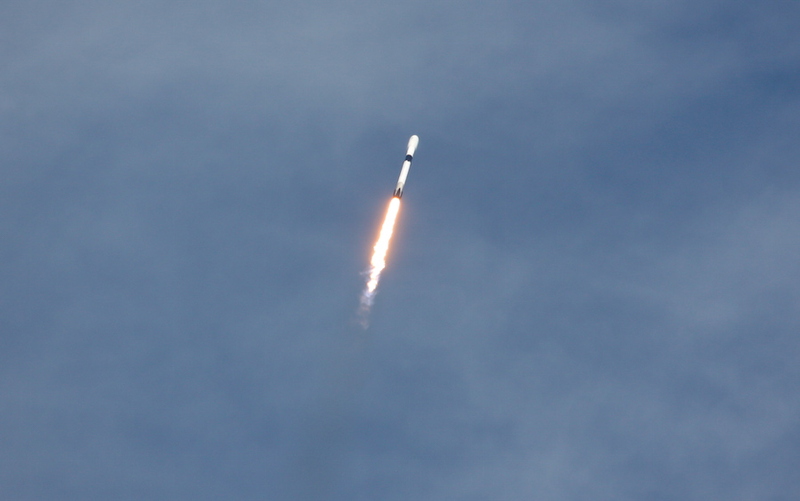 The rocket arced toward the east, rising through scattered clouds on the way to space. 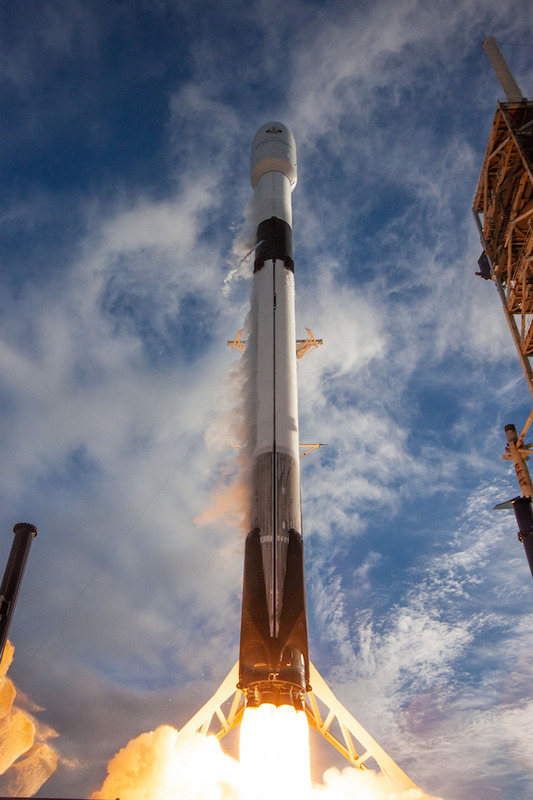 The Falcon 9’s first stage was making its second launch following prior liftoff and landing in July. 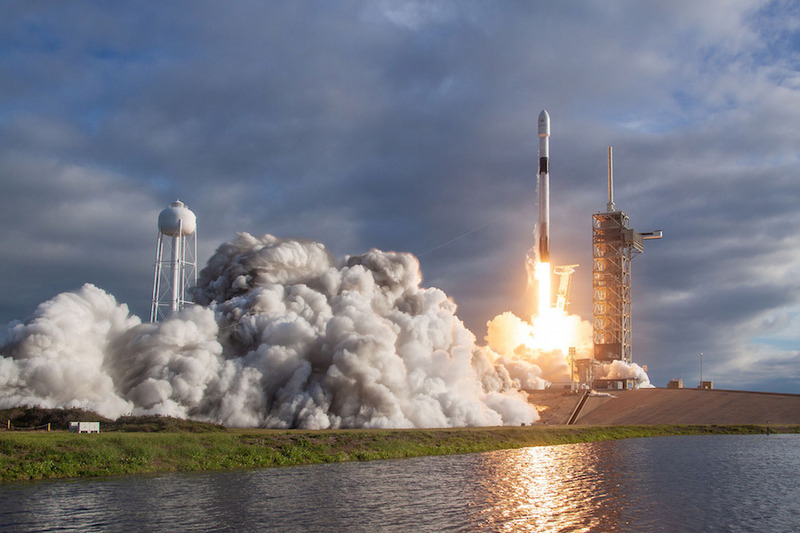 SpaceX recovered the booster again after the Es’hail 2 launch, when the first stage landed on a drone ship parked in the Atlantic Ocean several hundred miles east of the Florida coast. 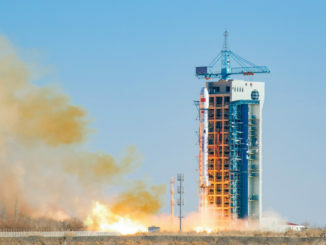 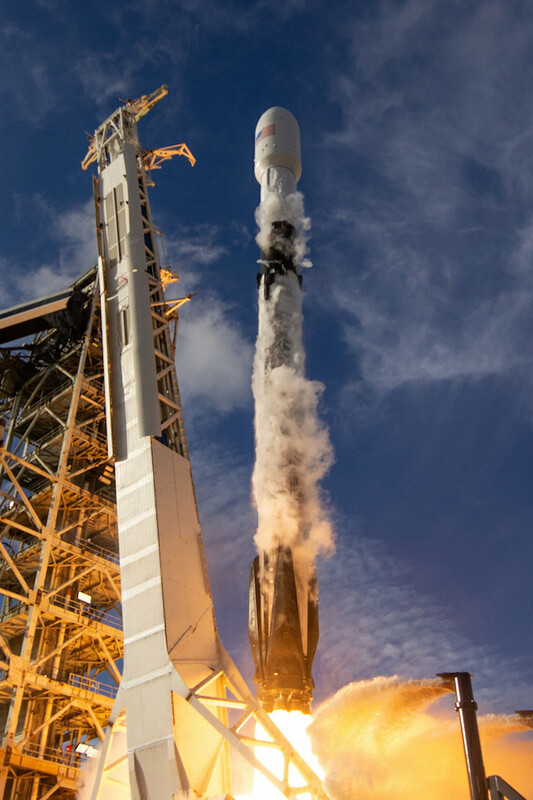 Read our full story on the Nov. 15 launch. 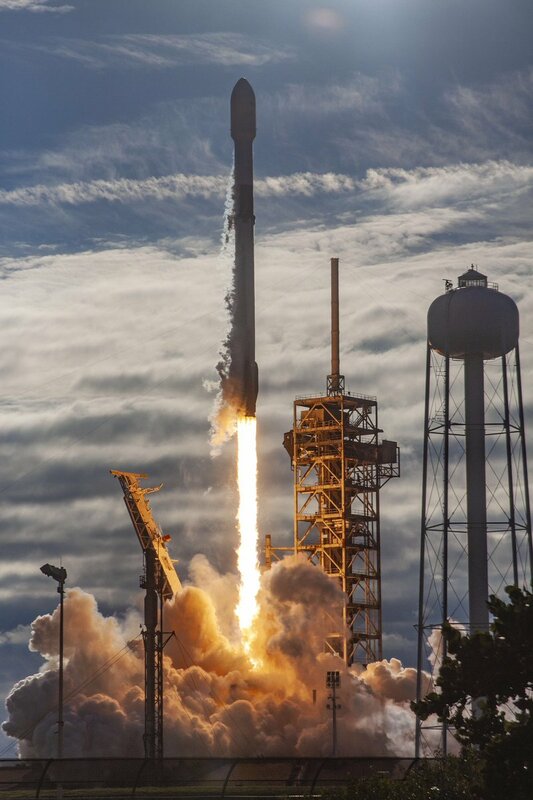 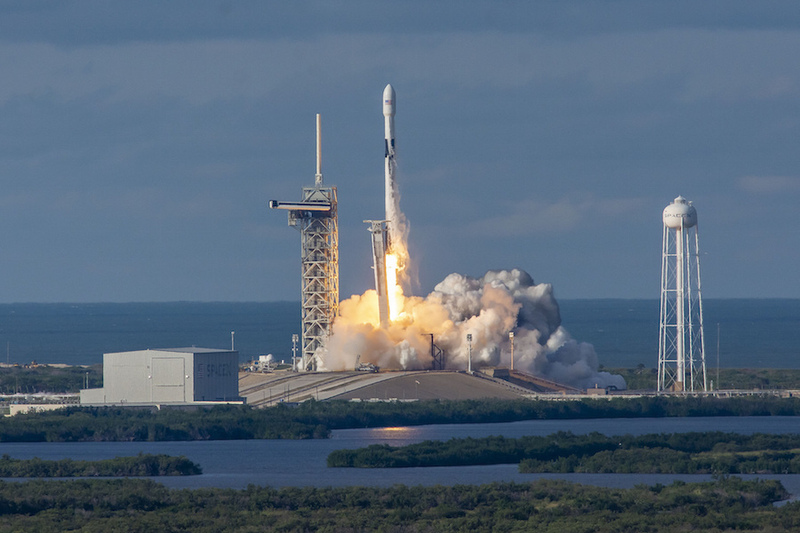 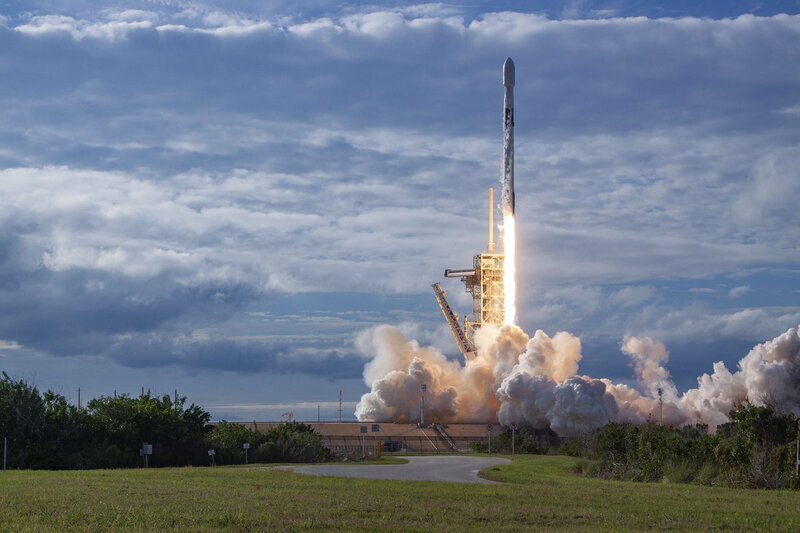 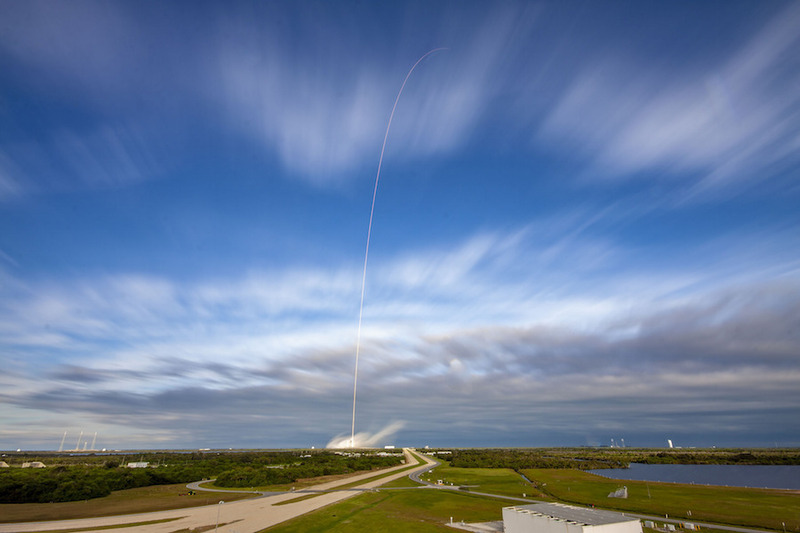 The photos posted below show the Falcon rocket’s blastoff from pad 39A.